Yorick is a big part of helping the Undead team's defense.. and his passives make me think defense runes. But in dungeons I'm noticing that since he doesn't have the high attack, he's not regening much health. It sorta works with taking less damage, he doesn't need much healing either. But I'm wondering if a higher attack build would be more viable. Kozar.. just hit the heroic portal and I'm wondering if there's a PVE build for him? Right now I'm just using him for PVP where he seems to shine with a one and done formula.. stack +attack and watch him hit a homerun. And what's been asked on the forums.. what the heck is his HP to attack thing and how does it work? Thanks @Zombi and @Starskream for these! I'm actually doing Kozar next and have been working on the script. GG6 has stalled the continuation of the vid for now, but hopefully I'll have it ready for next week some time. Why? It's not like you're the leader of the top DB guild.... oh, wait. And I'd like to see a Brom vs Zomm video.. if and how they are different, or if Brom is the same runes as Zomm. Mostly because I'm rune-ing them the same, but end up with very different heroes in terms of damage and survivability. Added to the first post. Great vid, Star! I know he's not widely used due to the fact he's exclusive to the VIP portal but I would really be interested in seeing a Shade vid sometime soon. I've ruined mine as best I can but I'm still rather new to the game (lv48) so doubt I've done a good job haha. Awesome info on your current ones though guys! 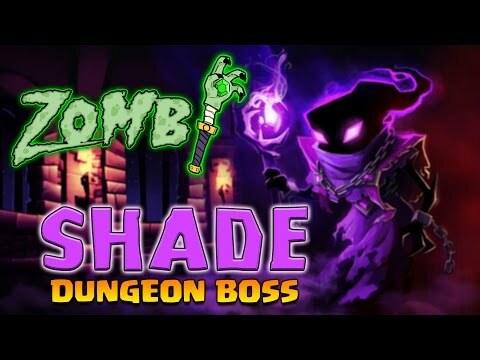 @Creefy I know @Zombi made a video talking about Shade recently, including his rune thoughts. Though with more opportunities to use him and try out different combos, things may have changed. But if you're interested, check out Zombi's youtube channel for his review of Shade. Ah, thank you very much! I didn't even think about YouTube! I'll have a look at it now! These videos are so informative. Thanks again for sharing your knowledge. I was going to request Kozar but it looks like it's on its way. YAy! 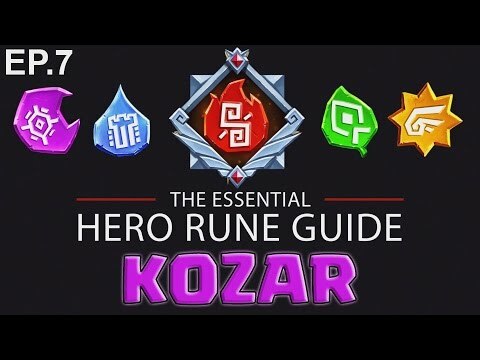 I was wondering if you could mention runes suitable for friend hero Kozar. Some of my friends' Kozars hit like a truck, others significantly less. So I presume it is rune related (rather than ability level which can sometimes be the case anyway). Yes it all depends on how that hero is runed, the friend summon will use that hero as it's runed. It would be neat if you could do a rune guild on any (or all) of the reptilian heroes! 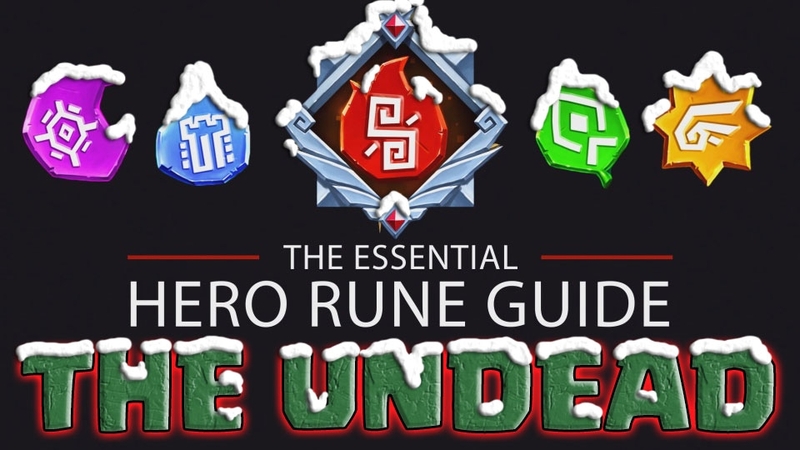 Now if you'll excuse me, I'm going to watch the Kai Makani rune guide video! 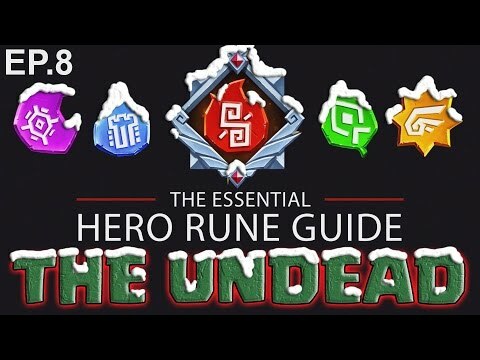 I know a Zomm guide has already been done, but I'd love to see an "Undead Christmas" special rune guide covering Brom, Yorick, and Hansuke. I would like to see valkin, astrid, yorick, and brom honestly. Out of all of them, valkin and astrid would be my top 2 most wanted, with valkin as the most desired. I absolutely love valkin, but I don't think I have him runed exactly right. Mine is 5*, he has 3k on defense, and 3.4k on attack. I have bulwark on both blue slots (I can't seem to get any good attack blue runes) and in yellow slot, and really good attack runes on red and purple. Maybe layer in some Hollywood Undead's "Undead" music in the background... just the first few seconds or so.. after that it gets explicit.